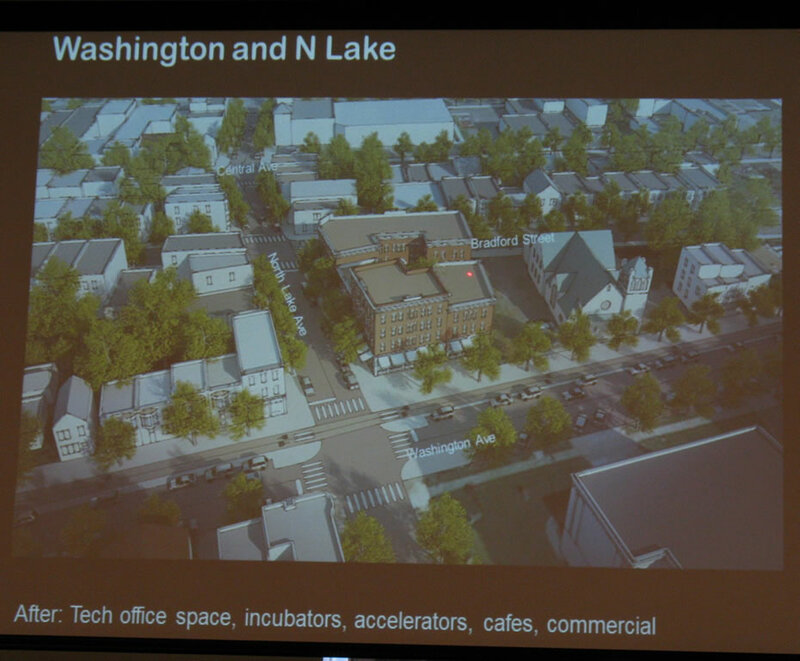 It's important to note that renderings presented were just ideas for potential projects. They haven't been officially proposed and there isn't money lined up for them. In many cases, the some of the ideas shown would probably only happen many years into the future. 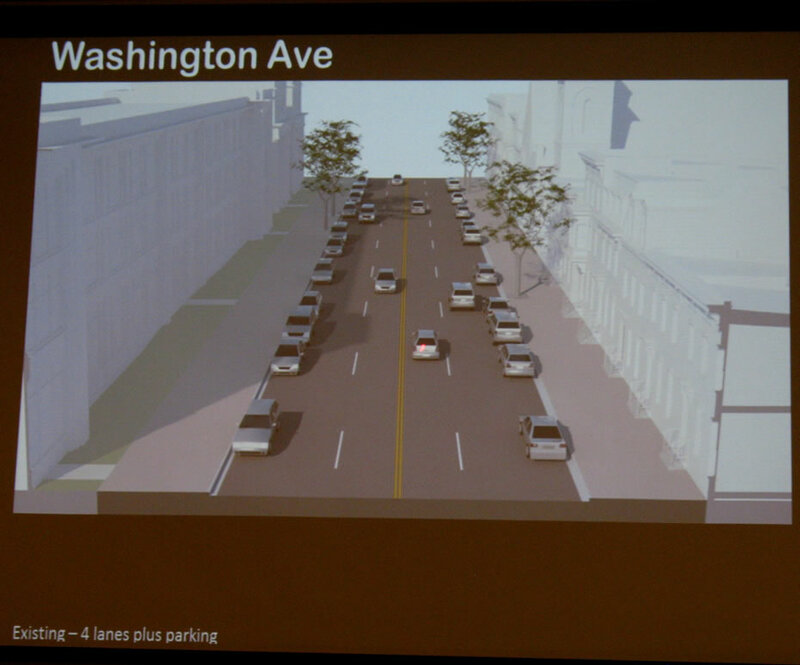 Essentially, these renderings are just a way to talk about what might be possible. 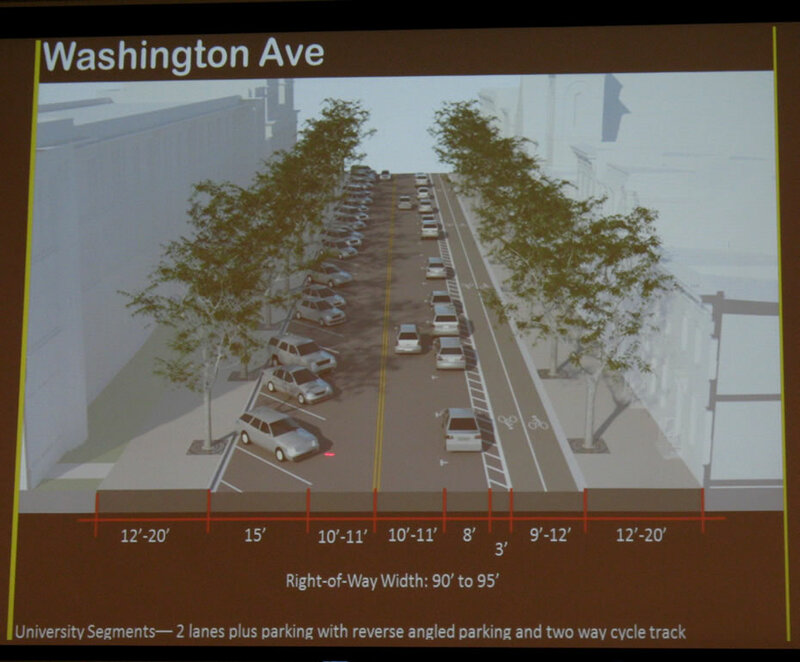 Many of the renderings presented included ideas for making Washington Ave both look better and work better for a wide range of users. 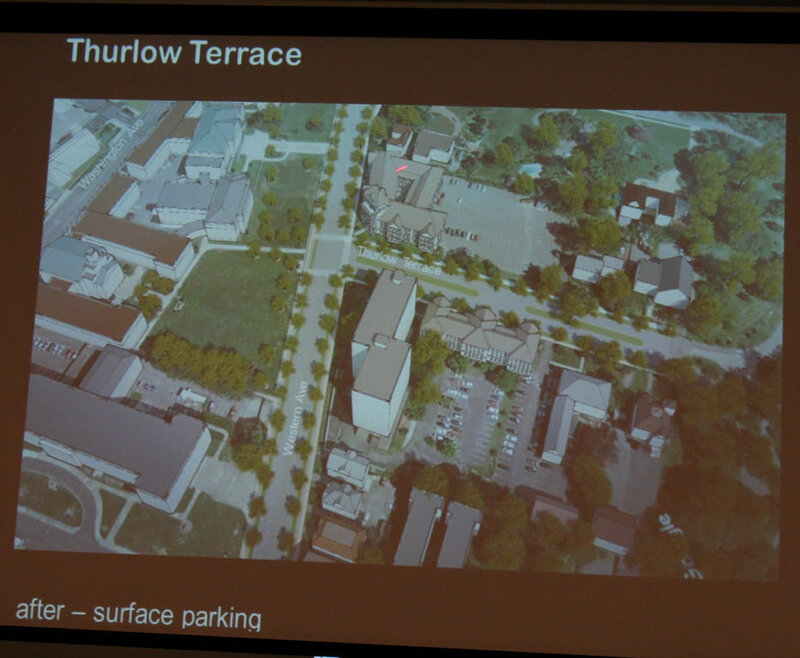 Notice the building bordering the parking lot on the left side of the rendering. 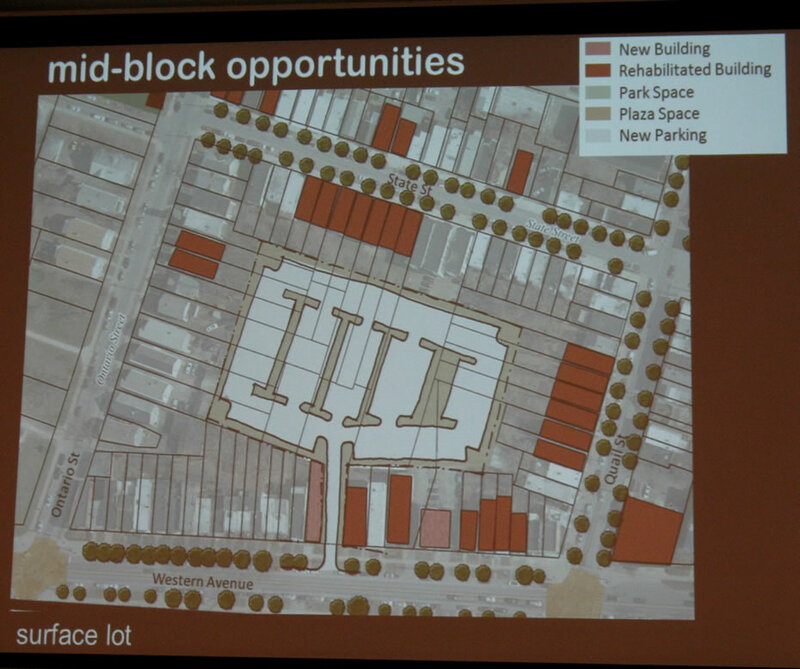 That idea of using buildings to line parking areas repeats itself through many of the designs. 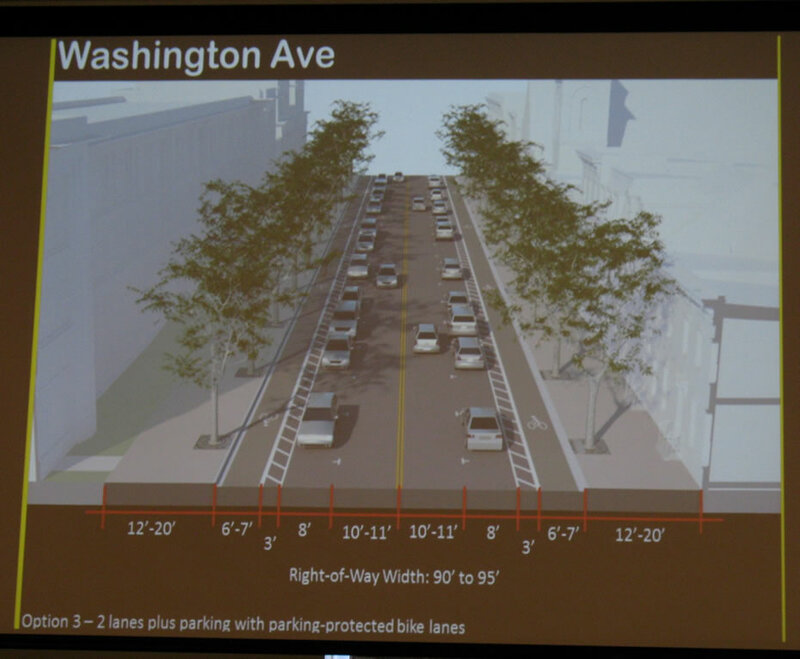 Also a topic of discussion for Washington Ave: Reconfiguration in a way similar to the Madison Ave road diet. As it is now, the street handles a relatively low volume of traffic for its size. King said they liked the idea of protected bike lanes, and were recommending a design that mostly rely on buffers of space to allow for easier snow clearing. An advantage to parking perpendicular to the curb: Such a design offers double the amount of parking as parallel parking along the same stretch. And back-in parking is said to be safer. 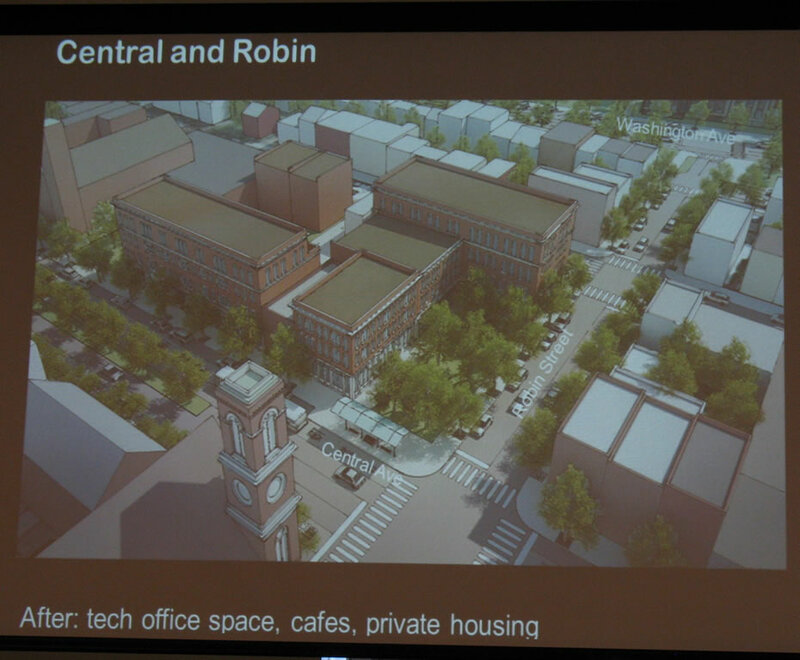 Robin, which connects Washington and Central at a midpoint of the downtown UAlbany campus, was identified as key corridor for connecting to the two places. Lake is another connector street. 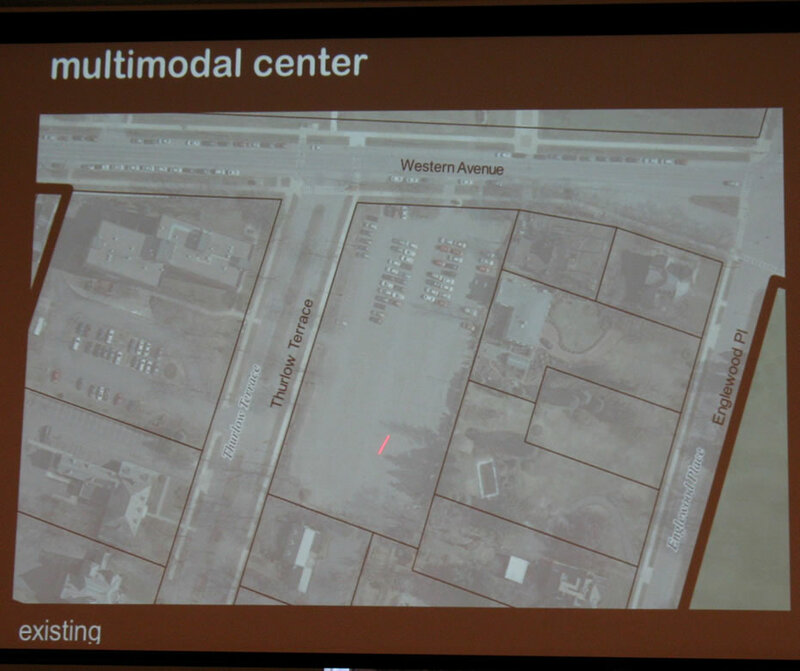 Another consultancy -- Nelson Nygaard -- is currently conducting a parking study of the area around the downtown UAlbany campus to assess supply and demand for spots. 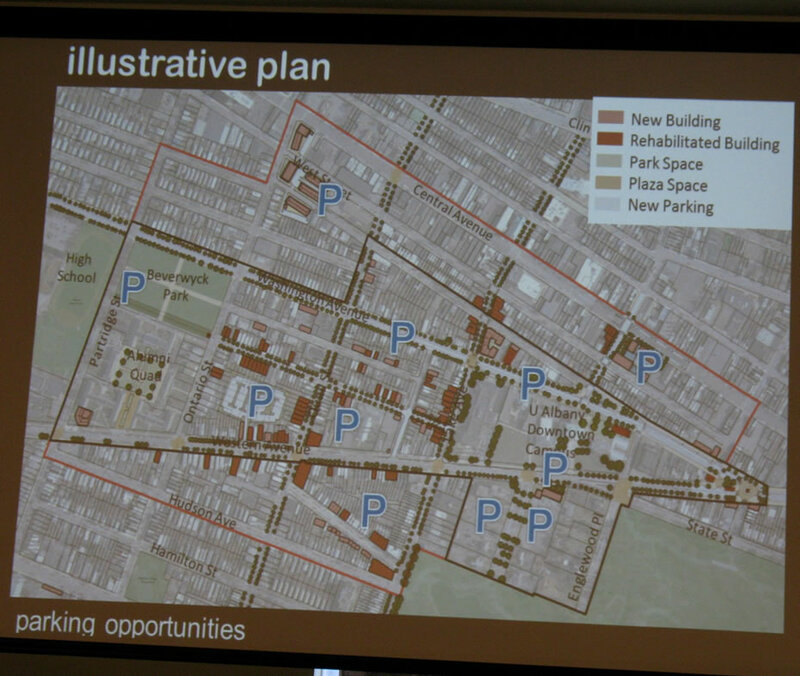 This map identifies potential places for parking projects. Though, as King noted, only a few of these spots would probably end up seeing some sort of new project. 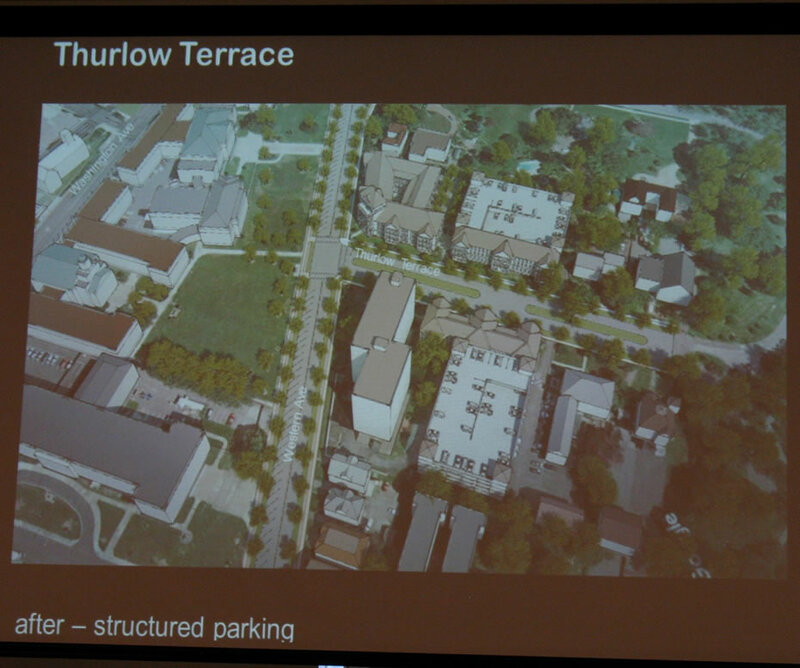 There's been some informal discussion that UAlbany might eventually building a parking garage somewhere in the neighborhood, and its Thurlow Terrace parking lot on Western Ave is a potential candidate. 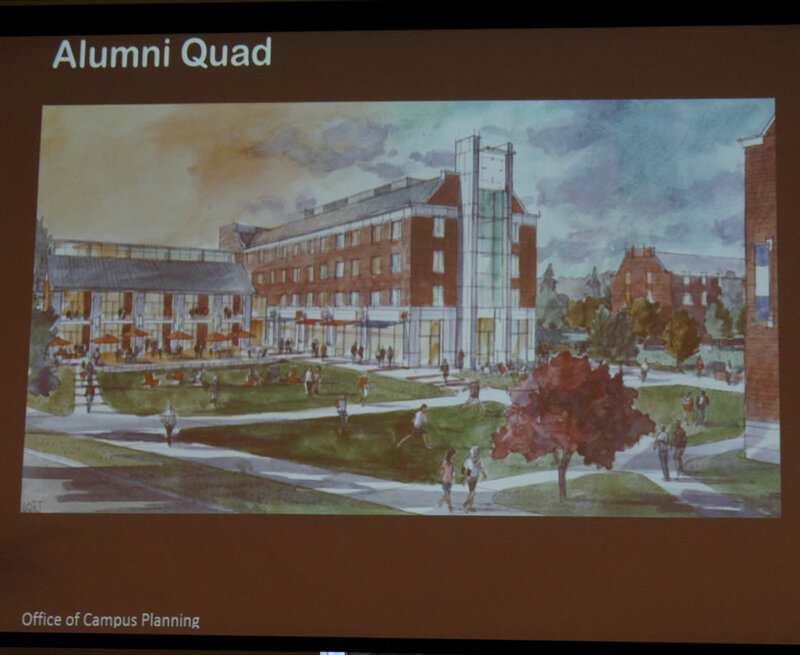 (Though we hear some sort of location closer to the Alumni Quad dorms might be preferred.) 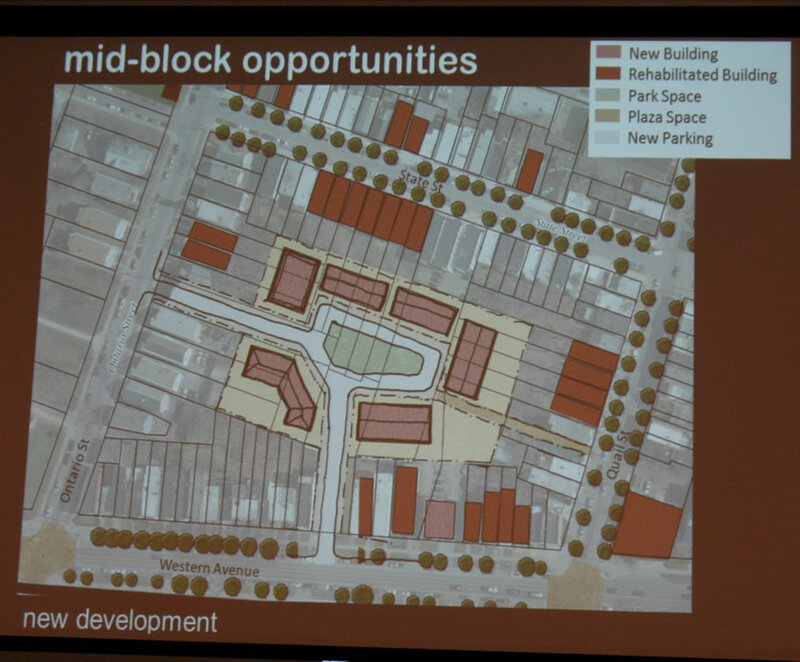 So that lot ended up serving as example of the ideas for implementing new parking or a garage. A potential garage buffered by buildings on two sides. A second garage, again buffered with a building. 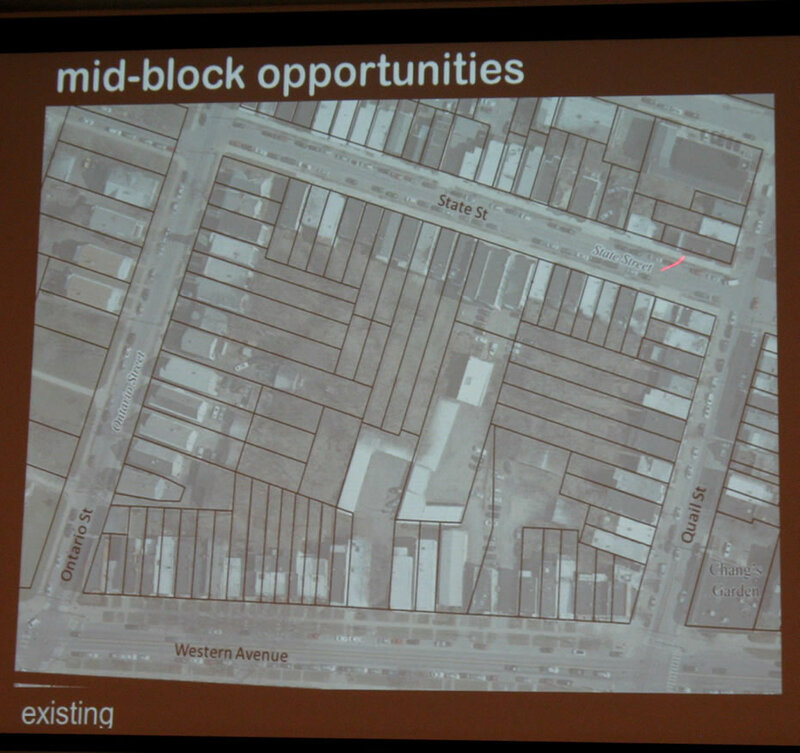 The block bounded by Western, Ontario, State, and Quail has an unusually-large center. 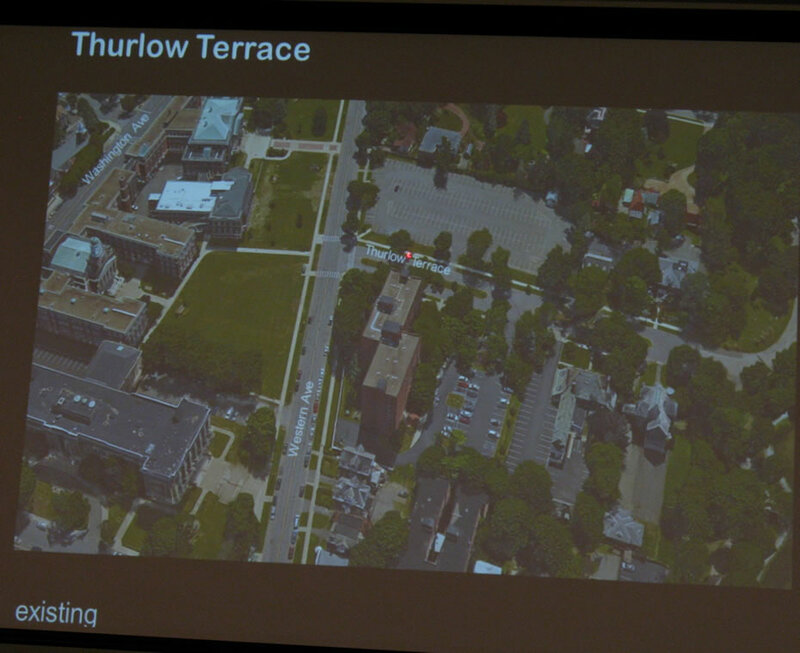 King speculated that there may have been some intent in the past to eventually break it up with another street. 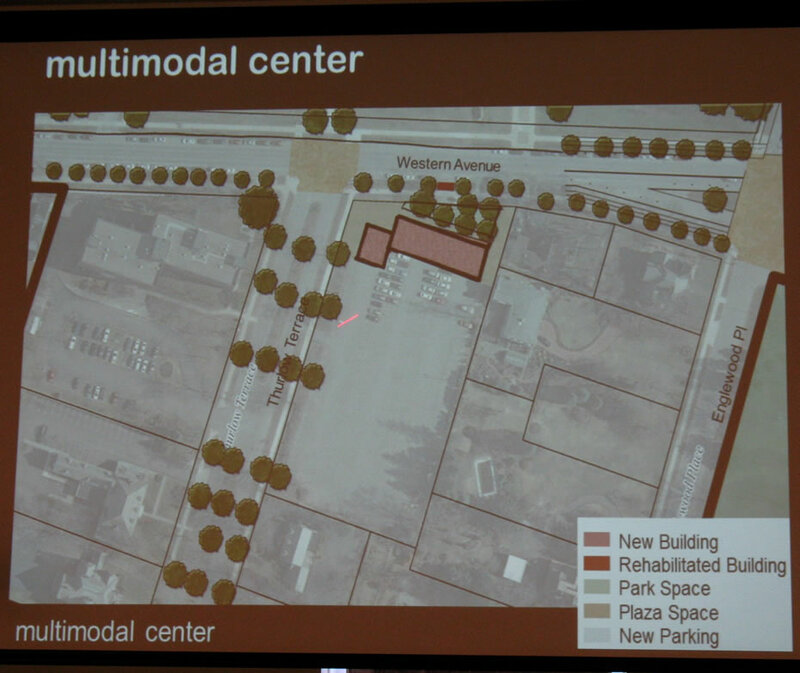 So there were some ideas presented using the space for parking. Or maybe parking isn't the best use for the space. 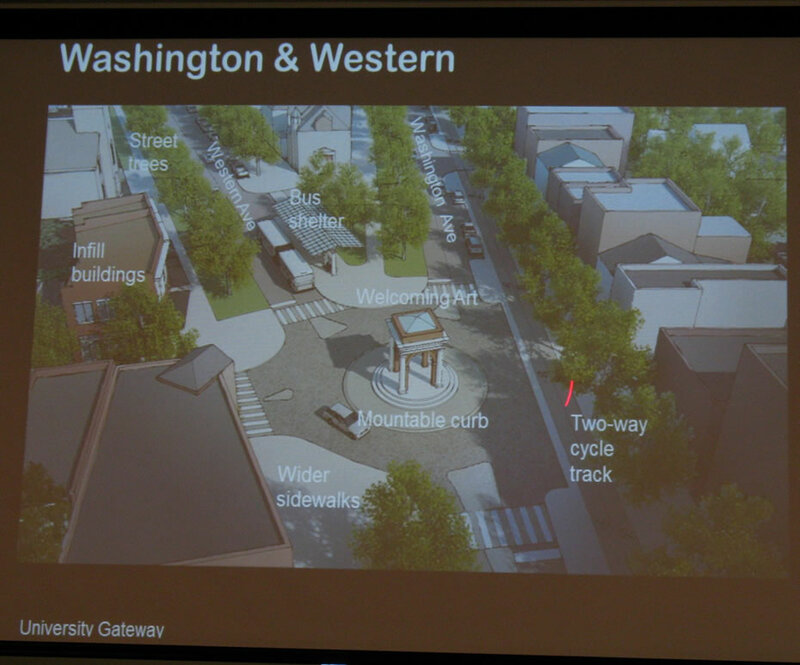 A new gateway for the neighborhood? 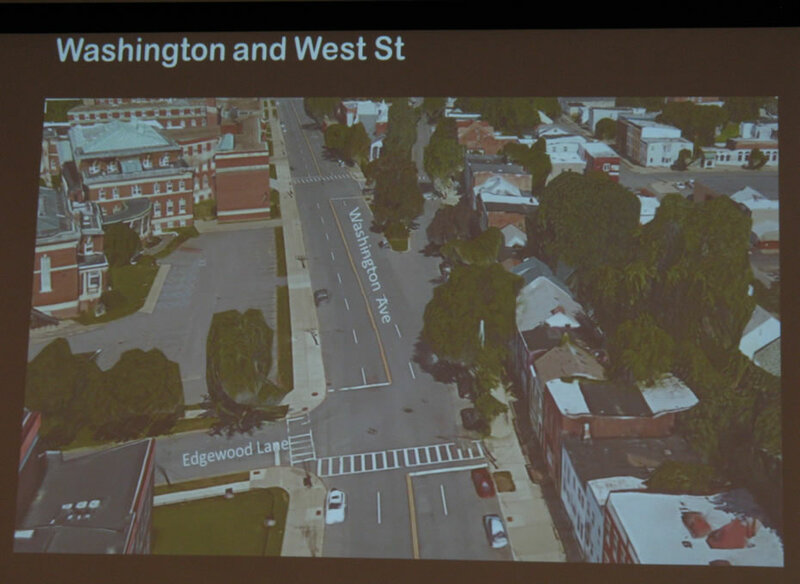 The ReZone Albany project was focused on the neighborhood surrounding UAlbany's downtown campus last week, a process that culminated in a few "big ideas" for the neighborhood and a bunch of renderings imagining how the future could play out there. 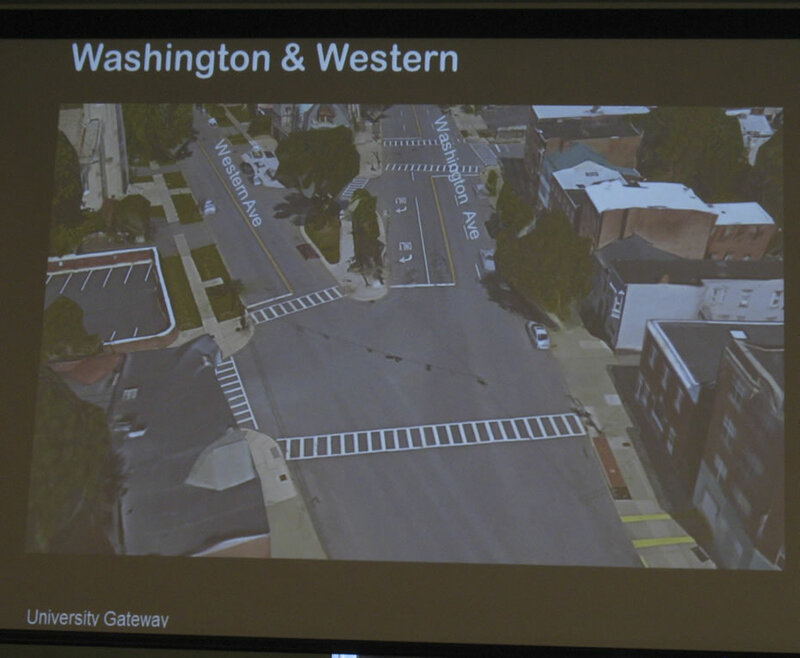 The focus on the neighborhood at the heart of the city was prompted in part by UAlbany's planned $60 million renovation of the former Albany hight school building at Western and Lake into the home of its new engineering college. 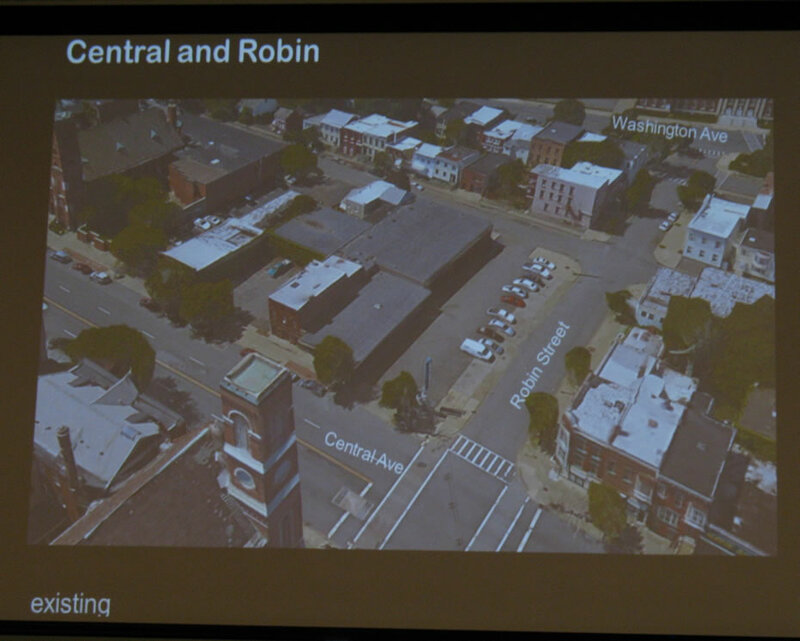 As Jason King of Dover, Kohl -- the consultancy heading up last week's program -- said in reference to the investment and its potential spillover effects: "That makes this one of the most promising parts of the city." This whole post is basically just slides from the final presentation, and they're above in large format -- so click or scroll all the way up. Identify opportunities to leverage institutional investment into private investment in the surrounding areas. 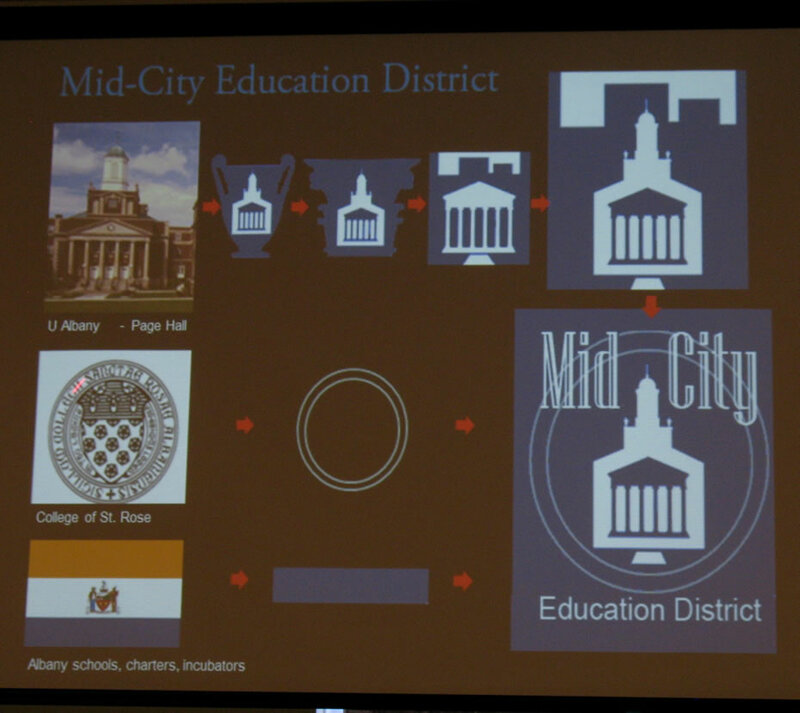 Attract businesses that meet day-to-day needs of students, visitors, employees and residents. Upgrade appearance of buildings and streets and sidewalk cafes, brew pub, hardware shop, grocery stores, public art, community gathering places, and institutional expansion that supports surrounding areas. Quail as the "Commercial Heart." 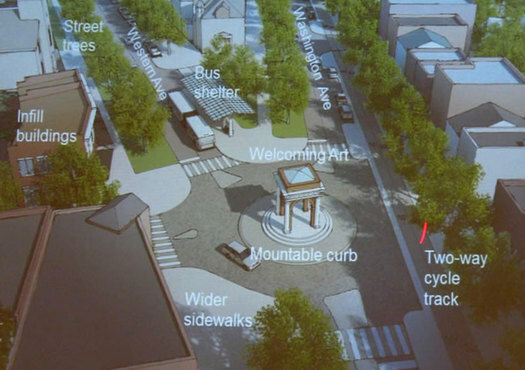 Crate a "complete place" that will compete better for [bus rapid transit], streetcars, bus stations, shaded sidewalks, bike lanes, additional parking (as necessary). Brand area, new light poles for banners and flower boxes, a management district, upgrade and rehab student housing and integrate with neighborhoods. I still don't get it. I lived in medium sized European city for 7 years. It was awesome. There were bars, pubs, restaurants, theaters, shops, grocery stores, bookstores and people EVERWHERE. You could walk anywhere in 20 minutes. There were no neighborhood branding meetings, horrendously planned streets, and little to no crime. What is our problem? Didn't we put a man on the moon? Can we not build cities like just about every other first world country without 5000 meetings with just diagrams and computer generated to show for it?. Why do those other places just do it and we struggle in bearaucracy??? Please explain! Get ready for another round of stupid meetings filled with stupid people complaining about how all bike riders are a-holes and we should just let them get run over because they deserve it. The only thing that makes any of this even remotely likely to happen is if SUNY is paying for it and doing the builds. Since SUNY's primary function now is construction and money laundering (thanks Alain! ), as long as the right palms get enough lube maybe some of this will come to pass. On BS's point ... European countries value and support small businesses. Our politicians pay lip service to small business, but in practice they actively work to insure companies like Wal Mart and Target will obliterate them. New York is especially hostile to small businesses. You want to put seating out in front of your restaurant? Great, that's going to be 50 applications each with a separate application fee, then there's a 10 months approval process ... you'll have to pay 4 different inspectors for that ... after that there's a pre-approval processing fee, then of course the various state and local taxes and fees for that ... at the end of 12-18 months, assuming one of the three state Agencies involved hasn't been tasked with some Big Project Downstate by the governor, you will get approval for licensing and ... as soon as the checks clear for your three licensing fees, and we get verification from the State Comptroller that the money is there ... you'll get your licenses in 10-20 weeks thereafter. I made all of that up but it's probably not that far from the truth. Took my friend FOUR YEARS to open his brewery, and that was JUST getting through all the various hoops so he could open the damn door. He makes about 300 gal of beer a week. It's insanity. Thank you for this overview. Regarding the Alumni Quad update, those dorms are eligible for the NYS and National Register of Historic Places, which means that SUNY will need to comply with Section 14.09 of the New York State Historic Preservation Act (http://www.nysparks.com/shpo/environmental-review/state-regulations.aspx) which requires avoidance or mitigation of adverse impacts to registered or eligible properties. The designs show some pretty dramatic changes to the buildings. 1. BS - there is plenty of bureaucracy, crime, and even some poorly planned areas all over Europe. The planning nerd fetishism of European cities needs to stop - it's not all that great over there, and their cities developed over 1000's of years, mostly before the automobile. They weren't just plopped down like many of our own. 2. 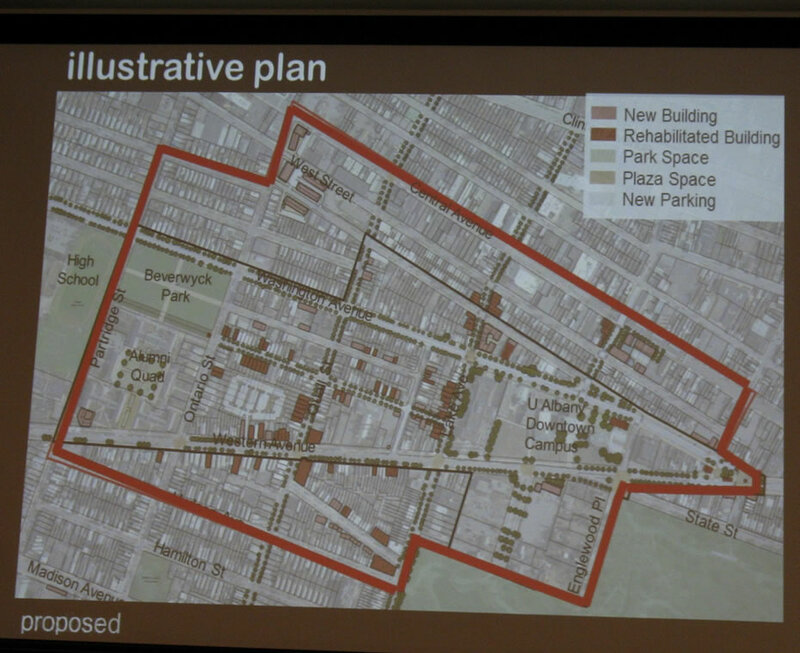 This is maybe the second public meeting the city has had on rezoning this specific area, not the 5000th. 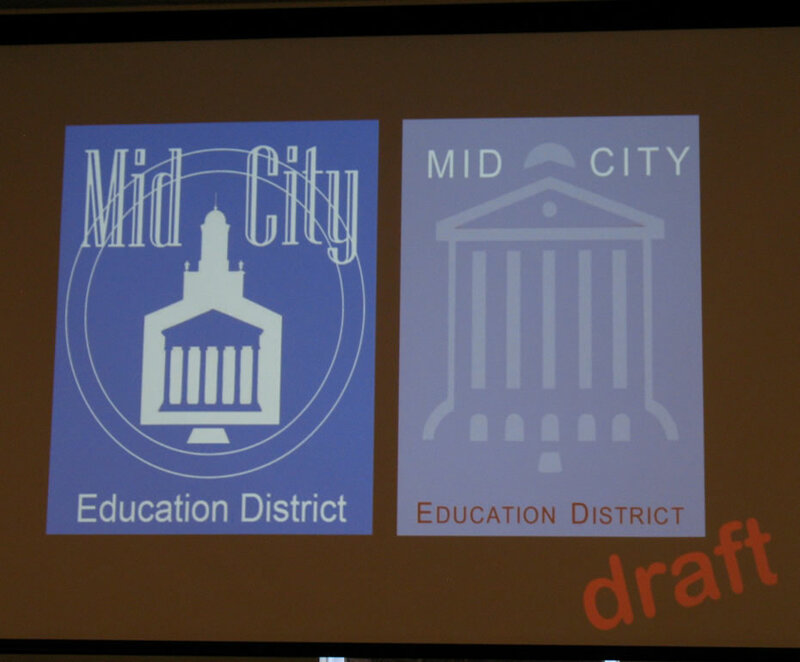 People showed up, surveyed their options, gave their input, and (hopefully) the city will listen. It's how we make big decisions in a democracy (call me naive). If you prefer your government to act quickly and unilaterally without much public input, that's how you end up with the Empire State Plaza. 3. To people in general - stop whining and get involved in the process - attend the meetings, give the city your hot takes, tell your friends, and then maybe we can turn Pine Hills into your own Euro-Disney fantasy land. This is a big opportunity to reshape our city, so save me the anecdotal stories about permits and fees and actaully do something about it. It's a bit frustrating that every time anything is posted about any part of the rezoning process, no one can remember what zoning is or what is going on here. 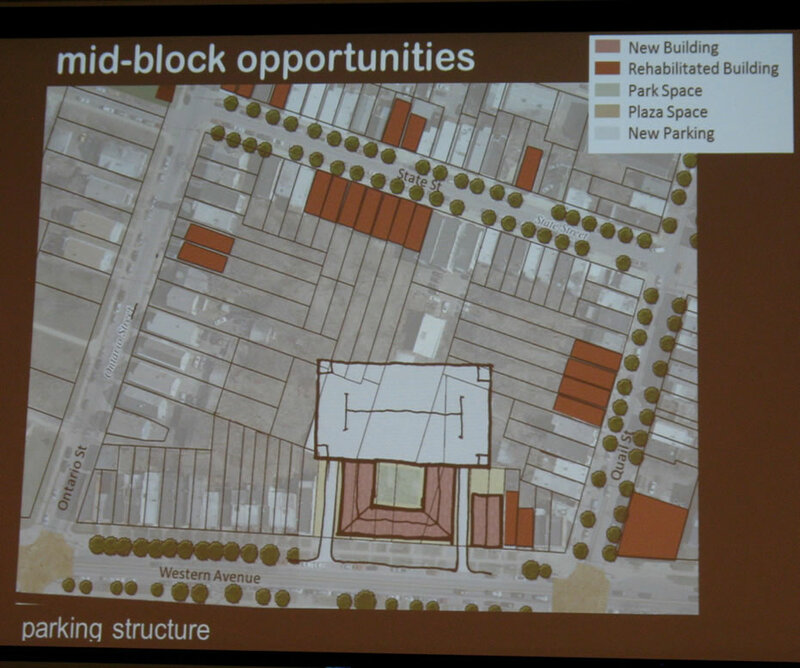 To recap, and partly to answer BS's question: This is a rezoning process. If you want all the things you listed to happen more quickly, this is what needs to happen. The current zoning laws make those sorts of things very difficult by adding red tape to the process. 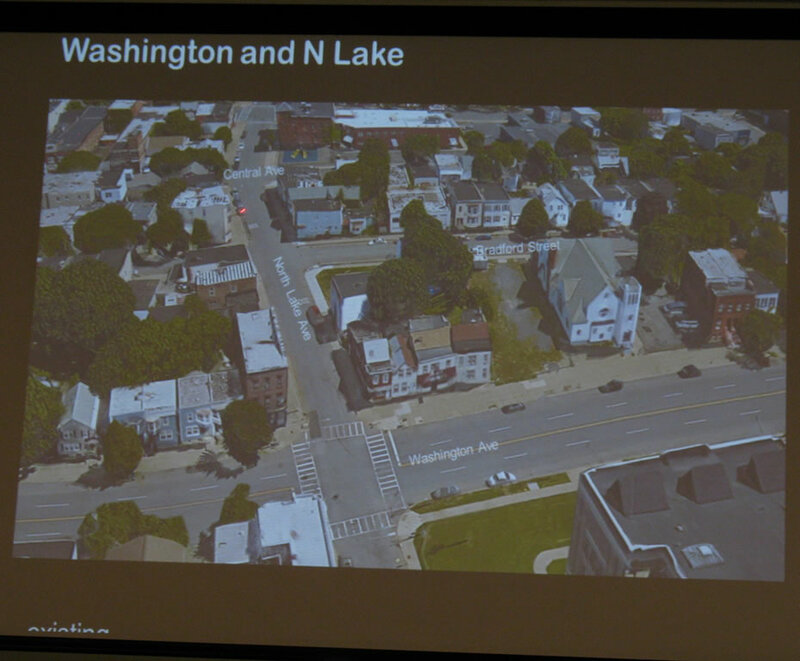 The aim of this process (with pre-established timelines that you can look up) is to remove that red tape and match the zoning to what is either in a neighborhood or what residents want in their neighborhood. Personally, I want as much community input as they can get. 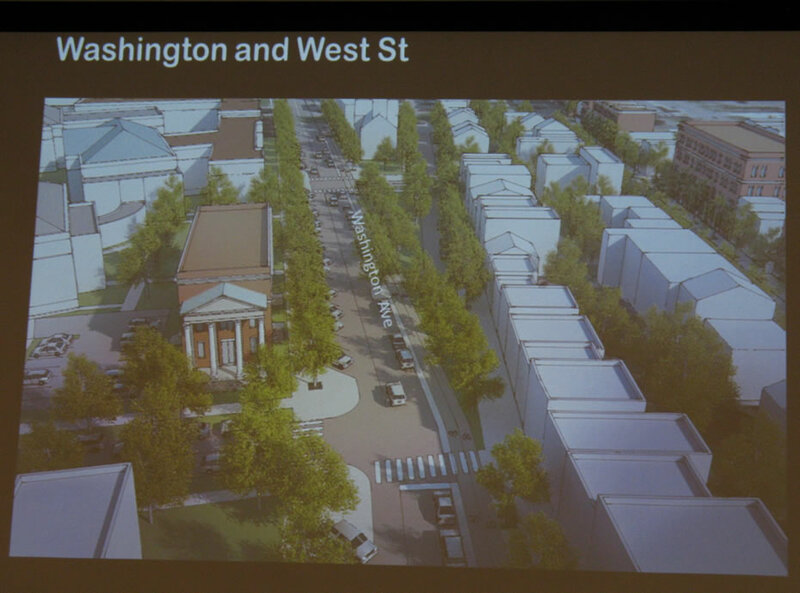 If they just went ahead and rezoned without that input, you'd likely be complaining about that, too. 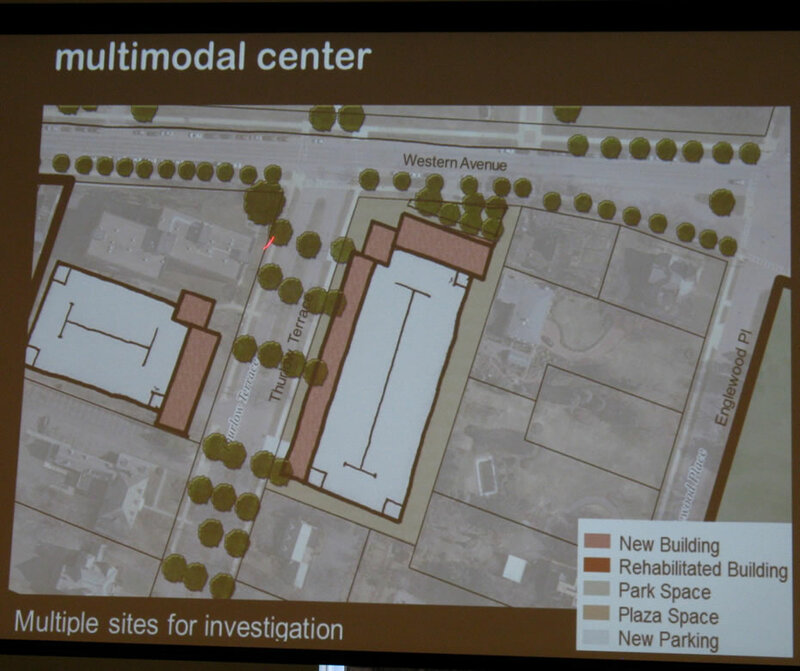 These are not concrete plans (except for some of what SUNY is planning or already doing). This is not a proposal to actually build any of this stuff. This is a way to change the law to make this stuff easier to build. That's it. European cities are great because they weren't destroyed by post-war urban renewal schemes that leveled some of the densest and most charming neighborhoods in the United States. Then of course, there wasn't the giant subsidization of suburbia in Europe (or in Canada) - endless money for government-built freeways and government-backed single-family home mortgages that we saw in the U.S, whereas there was no money for mass transit and mixed income multi-family developments that thrive in Canadian cities. Things finally seem to be turning a corner in the U.S. but Albany is always 20 years behind the times it seems. I'm disappointed that Kathy Sheehan has not been more pro "new urbanist," and I hate to sound like a downer, but the whole "education district" will not come to pass unless there is good leadership at SUNY. Saint Rose's president, Carolyn Stefanco, is completely incompetent and useless. She canceled all of the programs at Saint Rose that dealt with urbanism, for example, and most of the politicians in the area hate her for good reason. 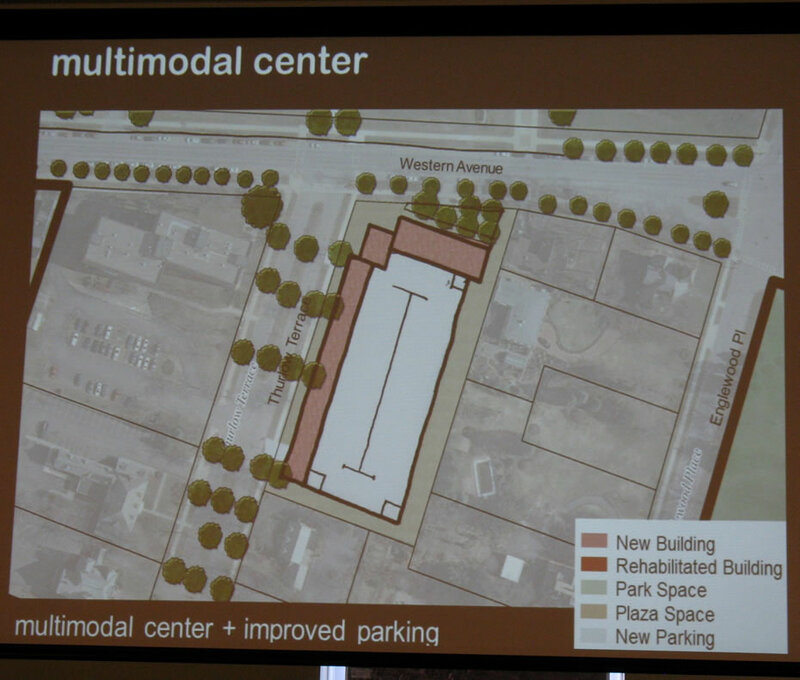 Permit parking should be considered for property owners and renters in Albany. Living near this proposed redevelopment and the Park South Albany Med development, we've seen construction workers and Albany Med employees take up parking on our street for the entire workday. For people with disabilities and families with small children, this make living in the city of Albany difficult. I'm all for improvements, but parking has to be reserved for city residents to keep the neighborhoods liveable. This wouldn't be appropriate everywhere in Albany. It might not even be right for this neighborhood, but it works be a great idea for the crater that was the original site for the convention center:. The question for me isnt whether a plan is good or bad per se. Before that you have to answer what the point is to the meetings. There is a well known idea in psychology that in order to acheive compliance you don't have to offer choice, merely the appearance of choice. 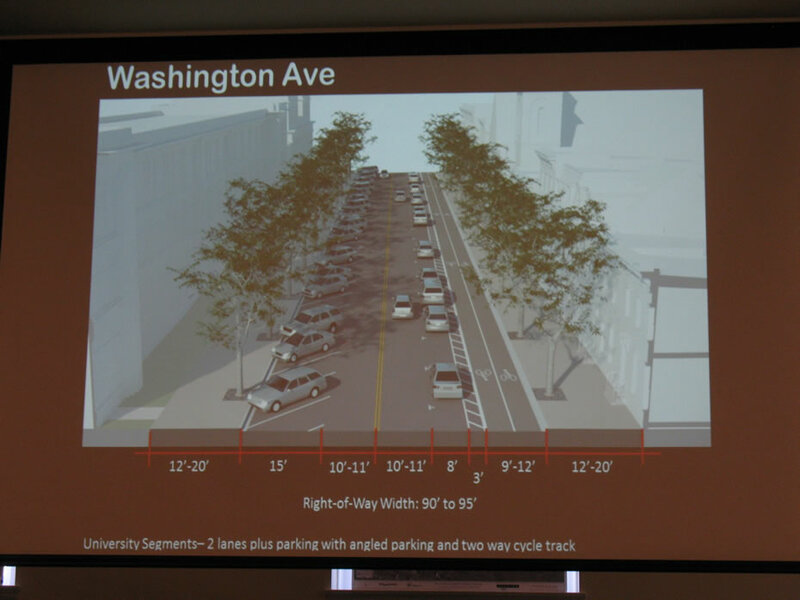 Looking back at the Park South plan and Madison Avenue road diet, how much can we say that citizen feedback changed anything of substance? Instead it seems as if these tac payer funded gatherings are intended to give top-down planning a veneer of collaboration.